* NOTE: This tour is designed for winter, but can be modified for spring/summer when other species are more expected. 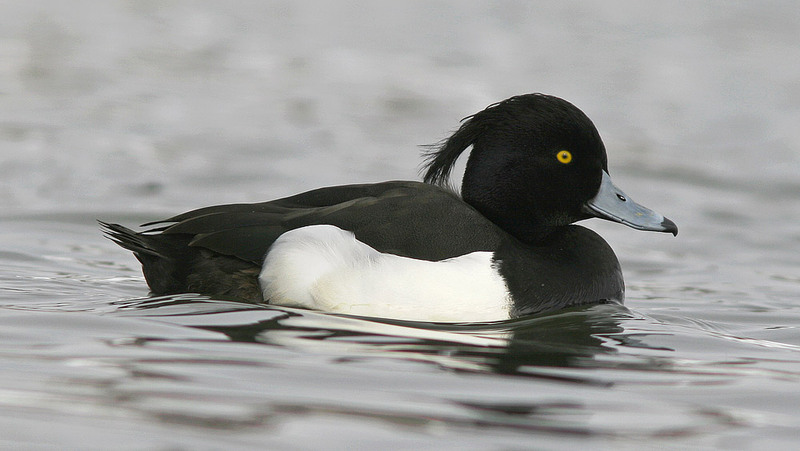 Tufted Ducks are a regular part of winter in St. John’s, with more than two dozen hanging around in recent years. Many birders visit Newfoundland in winter, when many other tourists steer clear. That’s because our island is known for its winter bird specialties – most of which can be found in and around St. John’s. Seabirds such as Dovekie, Thick-billed Murre, and Great Cormorant can often be found at coastal locations. European waterfowl such as Tufted Duck, Eurasian Wigeon and Eurasian Green-winged (“Common”) Teal routinely winter along with local North American species and provide point-blank looks. Some years, northern finches (including Crossbills, Redpolls, and Pine Grosbeaks) are present in large numbers. And sometimes a European rarity such as a Northern Lapwing or Redwing can show up! St. John’s has been the only reliable place in North America to see Yellow-legged Gull, with at least one present each of the past 10+ winters. But the gulls are the real show-stopper. 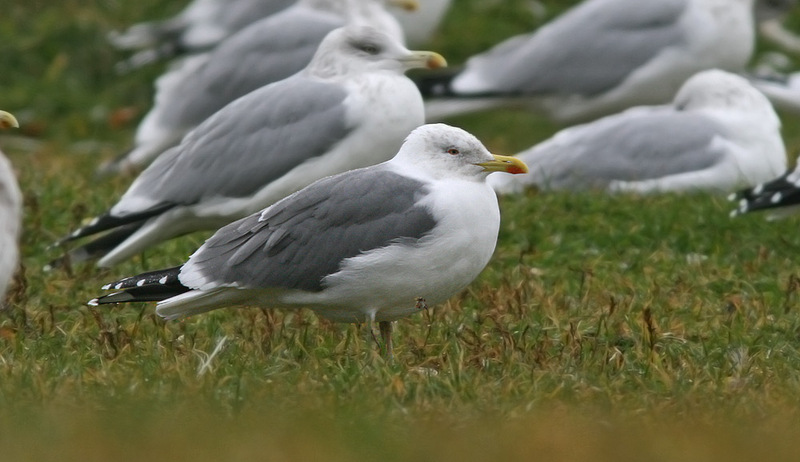 At least one Yellow-legged Gull has overwintered in St. John’s for the past decade, making this the only place in North America where this species can be seen on a regular basis. Slaty-backed Gull has also been annual for the past few winters. Thousands of Iceland Gulls, Glaucous Gulls, more than a hundred Black-headed Gulls, and usually a handful of European Common Gulls are found amongst the other usual suspects. All in all, up to a dozen species of gulls can sometimes be seen in the run of a day. – This tour would typically begin at Cape Spear (the easternmost point in North America), followed by visits to some smaller fishing villages, and then most of the day would be spent looking for special target species in one of the oldest cities in Canada. Accommodations and meal options to suit all tastes are readily available. * NOTE: Depending on season and options selected, this tour could take anywhere between 8-12 hours and might require an early morning start. Newfoundland is one of the most dynamic birding locations in North America, with each season bringing an exciting new array of species and spectacles. The “Irish Loop” (named for its strong cultural roots) is located in the southeast corner of the island, and offers some of the most spectacular scenery and coastal landscapes in the world. In fact, the Avalon Peninsula was rated the “best coastal destination in the world” by National Geographic magazine in 2010! The seabird spectacle in Newfoundland during summer can be awesome, including great looks at pelagic species like Sooty Shearwaters right from shore. Spring and summer on the Avalon Peninsula combines incredible scenery, mind-boggling numbers of seabirds at some of the largest and most majestic breeding colonies on the continent, and a rich variety of tundra, barren and northern boreal species. This tour covers the easternmost reaches of North America – with an opportunity to see thousands of Atlantic Puffins up close and personal at one of their most fabled nesting sites – the Witless Bay Islands Ecological Reserve. The most southerly breeding Razorbills and Thick-billed Murres, along with thousands of Common Murres, will take your breath away as they cloud the skies. Black-legged Kittiwakes and the occasional Northern Fulmar will dot the cliffs and water. Many northern songbirds can be seen & heard during our visit – including Boreal Chickadee, Grey-cheeked Thrush, Black-backed Woodpecker and Horned Lark. Other stops will provide us opportunities to look for Shearwaters, Arctic Tern, and Willow Ptarmigan. Other wildlife might include whales, moose and woodland caribou. Dovekie (known locally as “bullbirds”) are often found along our coast during winter. Fall and winter brings a major shift to the bird life of the Avalon Peninsula, with the breeding seabirds and songbirds having left for another year. However, they are replaced by more than a dozen species of migrating shorebirds including Whimbrel, American Golden Plover on the barrens and an array of plovers and sandpipers along the beaches. Waterfowl such Long-tailed Duck, Common Eider and Scoters dot the water, while Great Cormorants cling to the rocks amidst rough ocean waters. Flocks of beautiful Snow Buntings arrive in late fall, contrasting with the often more drab birds of the barrens this time of year. Some years, Snowy Owls arrive in numbers and hunt along the coast. 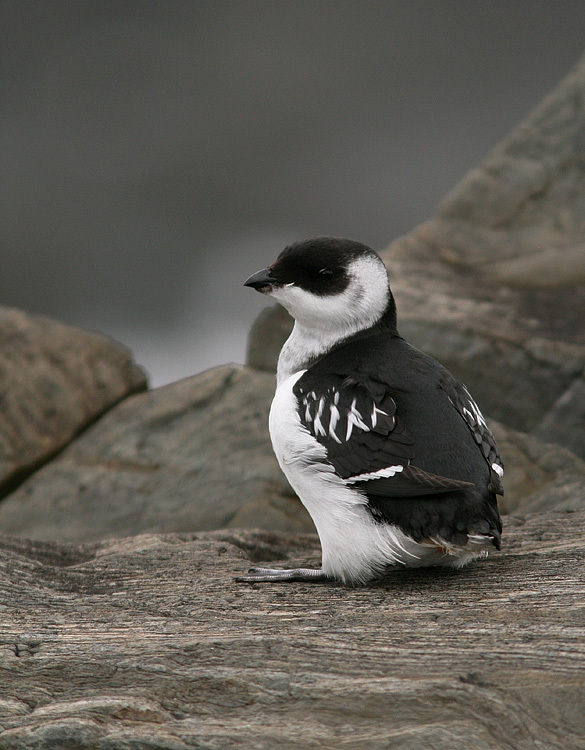 Seabirds such as Dovekie and Thick-billed Murre can often be found feeding close to shore in winter. 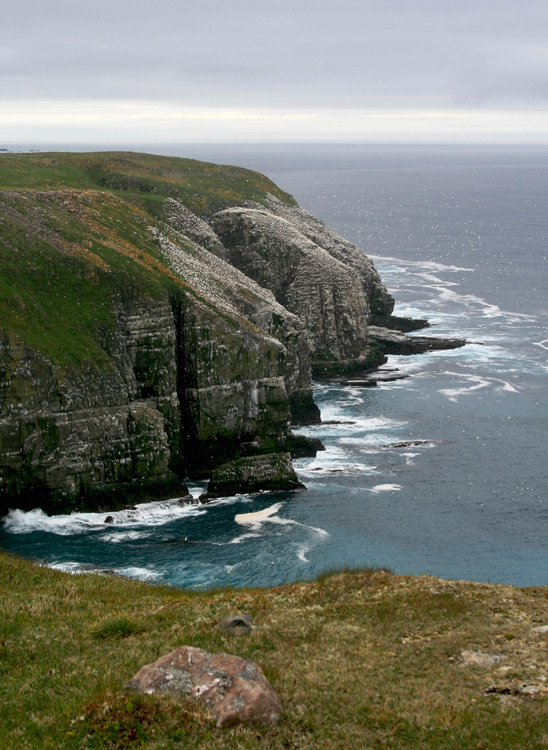 Cape St. Mary’s Ecological Reserve is home to more than 50,000 breeding seabirds and stunning landscapes. Cape St. Mary’s is famous for many reasons – stark beauty, rugged coastlines, and one of the richest fishing grounds in the world. It has been celebrated in song and story. But of all its virtues, none stand out more than its incredible seabird colonies. Cape St. Mary’s Ecological Reserve is home to one of the world’s largest Northern Gannet colonies, with more than 30,000 of these majestic birds nesting on the clifftops and the stunning sea stack called “bird rock”. The sheer cliffs throughout the reserve are home to over 20,000 Black-legged Kittiwakes, 20,000 Common Murre, and 2000 Thick-billed Murre. Add to that Razorbill, Black Guillemot, Northern Fulmar, Double-crested & Great Cormorant and the seabird spectacle is astonishing. Bald Eagles and Northern Harrier hunt over the cliffs and barrens, Willow Ptarmigan roam in the grass, Horned Lark twitter along the trail and American Pipits perform their aerial displays. 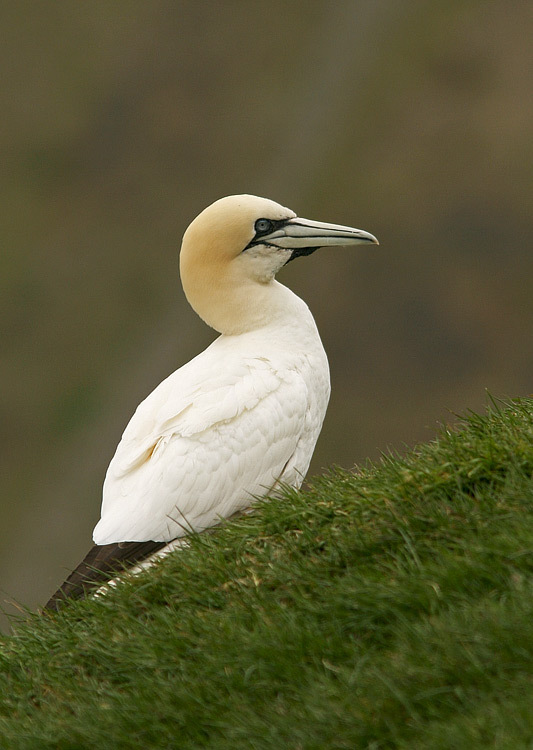 Northern Gannets arrive at Cape St. Mary’s in May and stay until mid-September. Our day-trip to Cape St. Mary’s includes a drive through some beautiful and interesting landscapes and habitat. 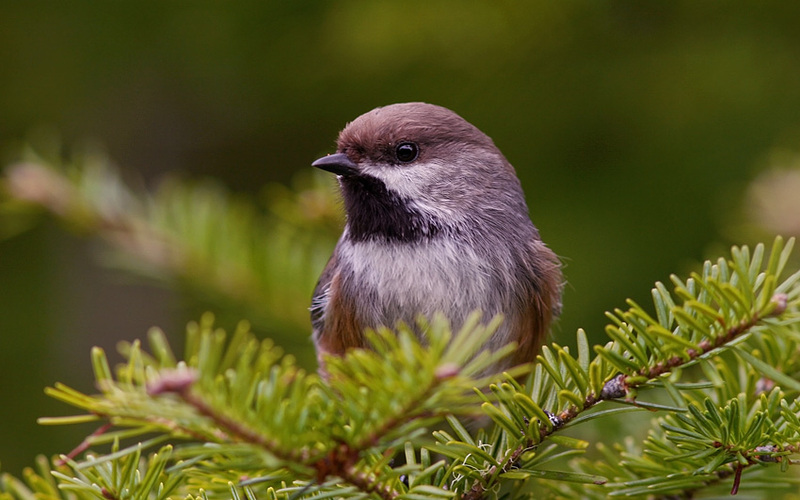 We will make stops along the way to look for boreal birds like Gray-cheeked Thrush (which are a threatened species in this province), Boreal Chickadee, Gray Jay, and Yellow-bellied Flycatcher among others. Other wildlife might include whales, seals, moose and woodland caribou. – This full day tour can begin and end in St. John’s. A picnic lunch can be arranged, or we can eat at a family-owned restaurant that serves fresh, local food (including seafood and wild game). What is the best time in summer to bird watch? Thanks for contacting me. While there isn’t really a “best” time, I might suggest that the first week of June through the first week of July is better in several ways. The last of our breeding songbirds typically arrive during the first week of June, but singing starts to decline rapidly by the first week of July – making that 4-5 week period the best for seeing and hearing our songbirds. 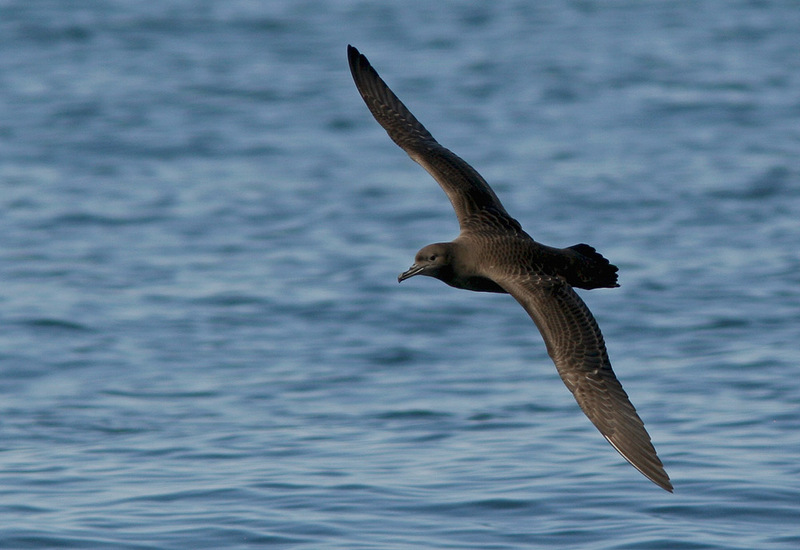 Seabirds begin arriving in late April and May, and are most reliable on their colonies during June and July. Most seabirds vacate the colonies after fledging young in late July and early August (although Gannets remain on their colony at Cape St. Mary’s until late September). As an aside, whale activity is generally best in July and early August, while iceberg season (which is always less predictable) tends to be best in late May and June. I hope this helps, and please let me know if I can help you plan a visit. I expect to start advertising scheduled tours and taking bookings for next summer very soon, so stay tuned if you are interested!